The first half of the 18th Century saw much of the land cleared, homes built, grist and saw mills erected on the numerous small creeks; general stores opened at Haverstraw and Tappan Slote, present day Piermont. Because of the lack of roads, travel was largely confined to sloops, which made regular trips up and down the river. The dawn of the 20th Century saw the beginnings of the decline in the number of farms and the gradual rise in industry. For example, the California Perfume Company was founded in Suffern in 1897. Today it’s a major cosmetics company known as Avon. 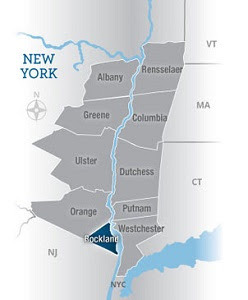 By the 1920s, Rockland County became home to many artists, writers and stage celebrities and, with the opening of the Tappan Zee Bridge in 1955 and completion of the Palisades Interstate Parkway and the New York State Thruway, a major suburban community. 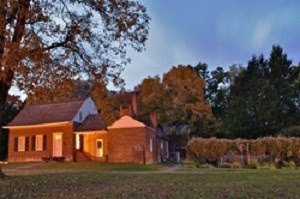 Dewint House and Museum in Tappan. 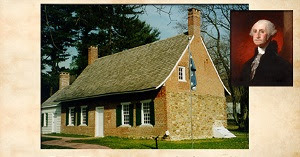 George Washington’s temporary Headquarters at Tappan on four separate occasions during the American Revolutionary War. Two important battles took place here: the capture by the British of Fort Clinton at Bear Mountain in October 1777 and the victorious attack by General “Mad Anthony” Wayne’s army on the British fort at Stony Point in July 1779. Jacob Blauvelt Restored Farmhouse in New City. An example of Flemish Vernacular architecture with Greek revival ornamentation the house contains period rooms that illustrate the lifestyles of local farming families during the first half of the nineteenth century. 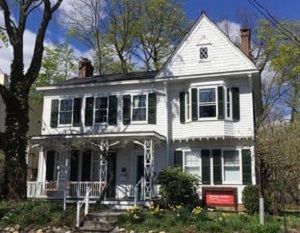 It is owned and operated by the Historical Society of Rockland County, a nonprofit educational institution and principal repository for documents and artifacts relating to the history of Rockland County. Edward Hopper House Art Center in Nyack. Birthplace and boyhood home of the realist painter. The restored house is a NYS Historic Site. One of its rooms is devoted to materials about Hopper’s work and life in Nyack. Three other rooms provide space for monthly exhibits by local artists. The restored garden is the setting for jazz concerts on summer evenings. 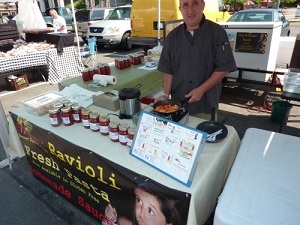 Village of Haverstraw New vendors selling fresh fruits and vegetables, organic fair trade coffee, herbs, plants, locally handmade soaps, pastries, jams, pies, quiches, chutneys, wines, prepared foods, artisanal bread and more. Village of Suffern The Suffern Civic Association hosts a wide variety of vendors selling fresh seasonal fruits and berries, vegetables, organic produce, locally made wines, crusty bread and homemade pastries, farm-fresh cut flowers, locally roasted organic coffee, dried fruit snacks, cheese and eggs, salsas, sausage and meats, soups, mushrooms, fresh mozzarella, pasta sauces and ravioli, and much more. The market also features entertainment – storytellers, musicians, cooking demonstrations by local chefs – something new and exciting every week. Formerly Tappan Landing, is located by a navigable tidal creek linking the Hudson River with Orangetown and the interior. In the 1830s, a pier and a rail link made it the southern terminus connection to Lake Erie. Following the Civil War and the launching of the Nyack and Northern passenger rail line, the Village of Piermont started attracting tourism from nearby New York City. During World War II Piermont was the point of embarkation for Europe-bound troops. For most of the 20th century, the local economy revolved around the Piermont Paper Factory, a leading maker of paperboard containers, and the largest employer here since the Erie Railroad. Today, the pier continues playing a key role in Piermont as favorite place for residents, fishermen, walking and bicycle tourists and other visitors from the region and beyond. Piermont Pier offers beautiful views and excellent springtime fishing. Rental boats, canoes, and kayaks, are available in the immediate area. Piermont Pier extends one mile across the Hudson River, from Rockland toward Westchester County. 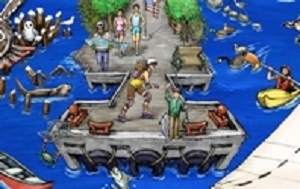 You can bike, walk, jog, or drive to the end of the pier. Fishing along the pier is popular especially during the spring run of stripers. Piermont Marsh, part of the Hudson River National Estuarine Research Reserve and the Department of Environmental Conservation, is located on the west side of the Piermont Pier. The site occupies two miles of shoreline south of Pier including the mouth of Sparkill Creek. Both locations are great for Bird Watching, Fishing, Hiking, Walking, running and best of all the scenic views of the Hudson and the palisades cliffs. Tallman Mountain State Park has an entrance directly across from our century old hand cranked drawbridge. Tallman Mountain has many outdoor and recreational activities such as hiking, walking, cross-country skiing, tennis, picnic areas, track and field. Railroad Station on Ash Street overlooking the Hudson River. Built in 1873, this site is listed on the National Register of Historic Places. 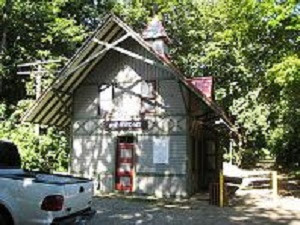 The station is now owned and operated by the Village of Piermont. 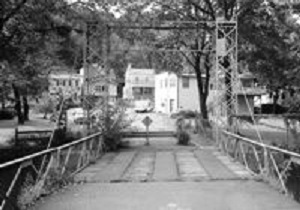 The Piermont Drawbridge dates back to 1880 and was recently restored. Today it functions as a pedestrian walkway providing a path to the Tallman Mountain State Park. Wildlife Piermont Pier and Marsh as well as Tallman Mountain State Park have long been recognized by bird watchers as an ideal area for observing birds.